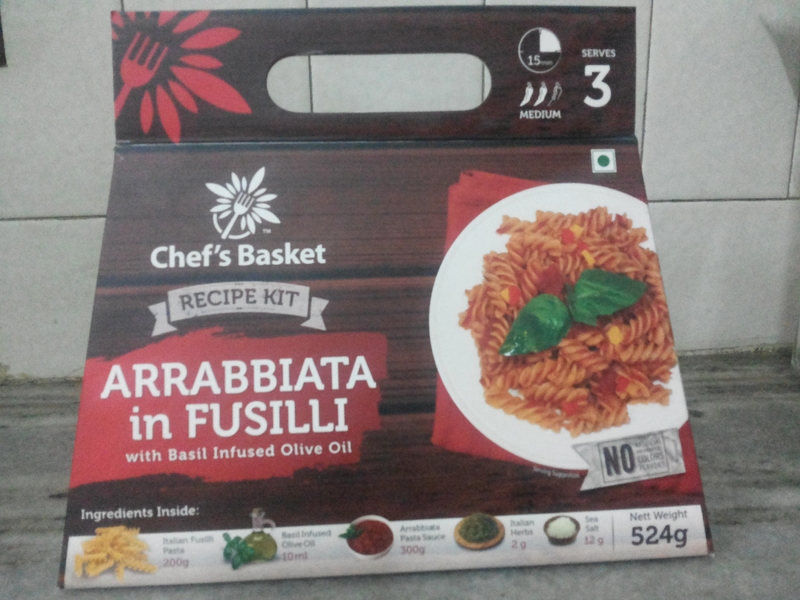 What is Chef’s Basket Recipe Kit? How is Chef’s Basket useful? A single kit has all the ingredients required to prepare a particular dish. The ingredients are all measured correctly. Preparation time and method are mentioned on the kit. It is similar in taste to the dish served in restaurants. Nutritional facts for health conscious people are mentioned. The recipe is designed in such a way that all one requires to do is follow instructions mentioned on the box. For a beginner who has never cooked before, this kit is suitable. Even though the directions were mentioned, I like to experiment and make the dish presentable (Inspired by classes I attend/ed with Best Chefs). Boil 2 L of water in a vessel with Sea salt on high flame. 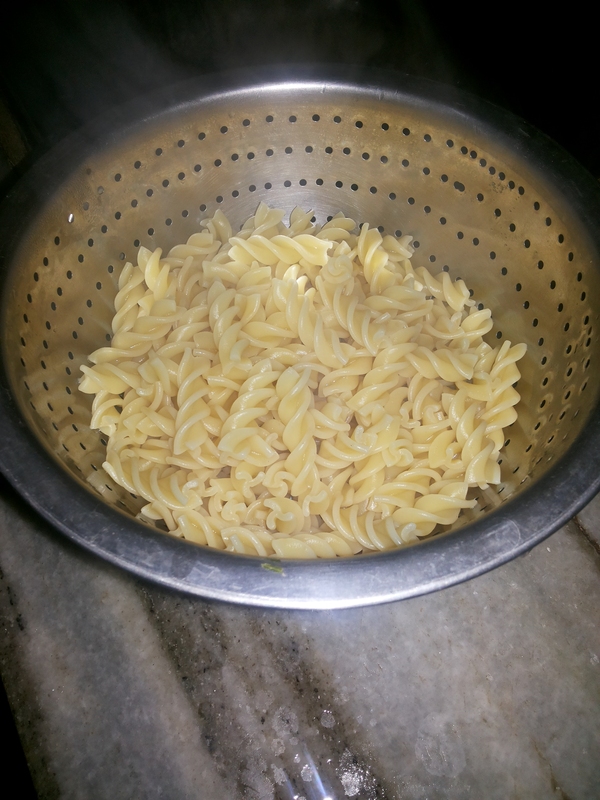 When the water comes to a boil, add Fusilli Pasta and boil for 12 minutes. Make sure to not overcook. Take a pan, add Arrabiata pasta sauce and simmer for 2 minutes. Add boiled pasta to the pan and toss it up / mix gently for a minute. Avoid using a spoon since it will cause the spiral pasta to break. Remove the pan from heat and add Basil infused extra virgin olive oil. Serve hot in a deep bowl and garnish with mixed herbs. 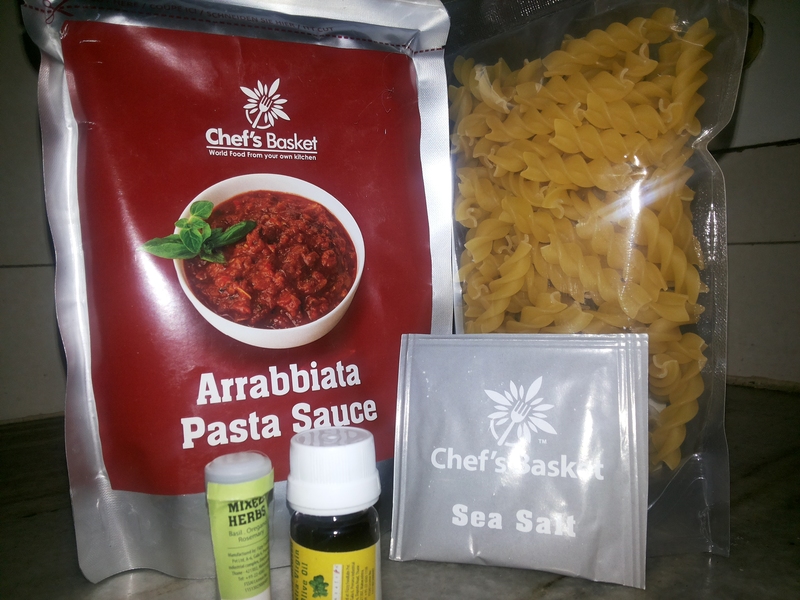 Chef’s Basket Recipe kit, satisfies the craving when one is unable to dine out especially “for those pasta cravings”. However, the kit is adequate for only 2 people and not 3. Also, while consuming the dish, it was a bit dry. Few more grams of the Arrabiata Pasta sauce would have worked wonders. 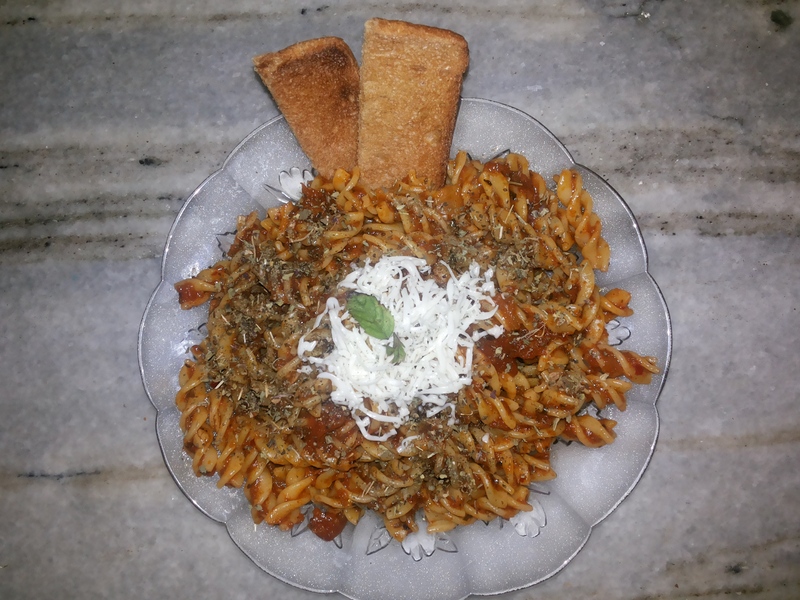 Worth giving it a try and I am sure will satisfy your taste buds. To purchase the product from Amazon – Only 1 left – Hurry!